My friend Phil introduced me to the "Salty Dog". 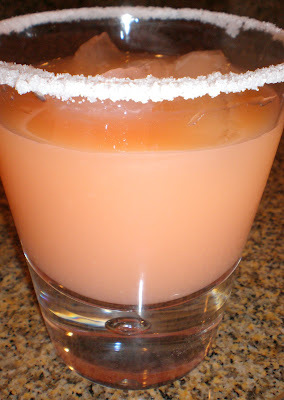 This cocktail is really refreshing with the tart grapefruit juice and the salty edge. Enjoy on a warm summer day or by the fire with spicy nuts. Rim a highball glass with salt. Fill glass with ice cubes. Add vodka and grapefruit juice and stir.